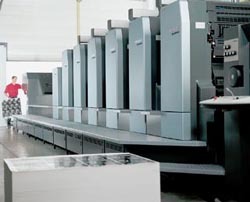 For over six decades Wheal-Grace has been a leader in sustainable printing in the New York - New Jersey region. For your brochures, catalogs, postcards, posters and more, we are a business built on kept promises. All of our work is produced using 100% wind power. Our soft touch aqueous printing employs our proprietary coating that our clients tell us is the best on the market.